Noooooo tomorrow is Monday!!! It’s back to work. Who came up with this 5 day work week, 2 day weekend thing? What genius decided that? They should be tarred and feathered……and stoned. Today really wasn’t too exciting lol. After having been out a lot yesterday i stayed in and ready today…..all day….it was wonderful. 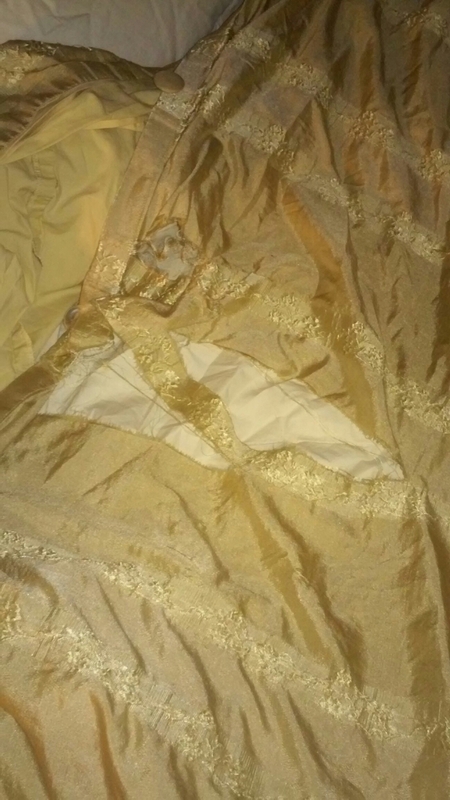 After 10 years i think i am going to have to replace my duvet couver soon……thats a duvet cover right? Letting Artemis sleep on the bed i am sure hadn’t helped. So i had been talking to 2 guys and have now let them both go lol. Dating today is a sad state of affairs. 1 of them hadn’t wanted me to date anyone else even though we hadn’t even been on an official date yet and the other one hadn’t read a book since high school and had never been in a Barnes and Noble………….yea no. I am a book fiend so that did it right there but there was so much more. I am now going to take a little hiatus from dating. At least a week, probably 2 or more. I didn’t work out this weekend because my stomach is still bugging me. I have been taking 1-2 probiotic pills a day which is sort of controlling it but i don’t feel like its ridding my body of it just yet. That is it for my exciting weekend. So sad about the duvet cover. Check places like Marshall’s, T J Maxx and Ross. Sometimes you can find one with matching pillow shams, probably at least $50.00 or higher, but still way cheaper than Penney’s, Sears, Macy’s etc. where they start around $100.00 and only go way up from there…..